In addition to adding rota notes to specific dates on a rota, it's also possible to add date-specific service notes that will be displayed on all rotas for in a service for that date. 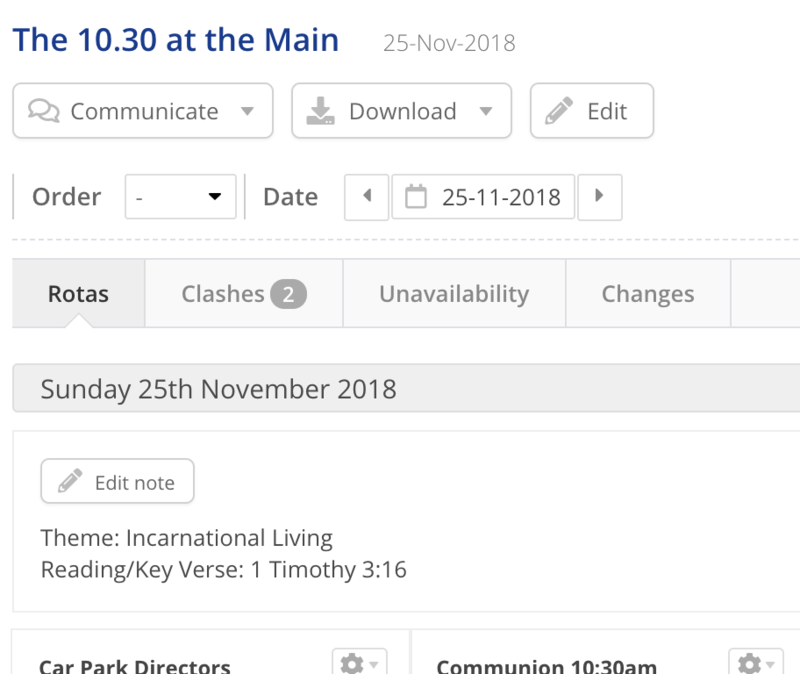 Service notes can only be added in ChurchSuite, not My ChurchSuite. ...and this service note will display on each rota for this service (see below). 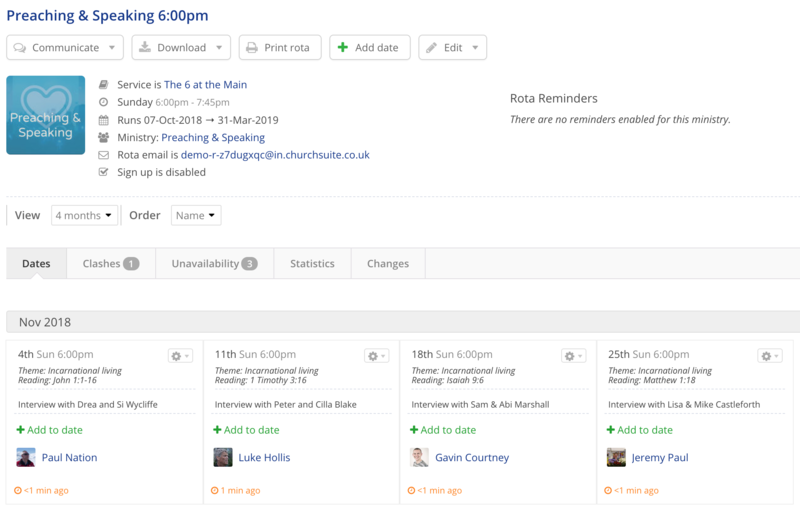 Service notes are also included in rota and service reports, such as the Rotas Overview report (when grouped by Service) and in rota reminder emails, and are also visible to rota members in My Rotas within the member-facing My ChurchSuite platform. In the above example, notice that service notes are shown in italics and rota notes are shown in regular font. 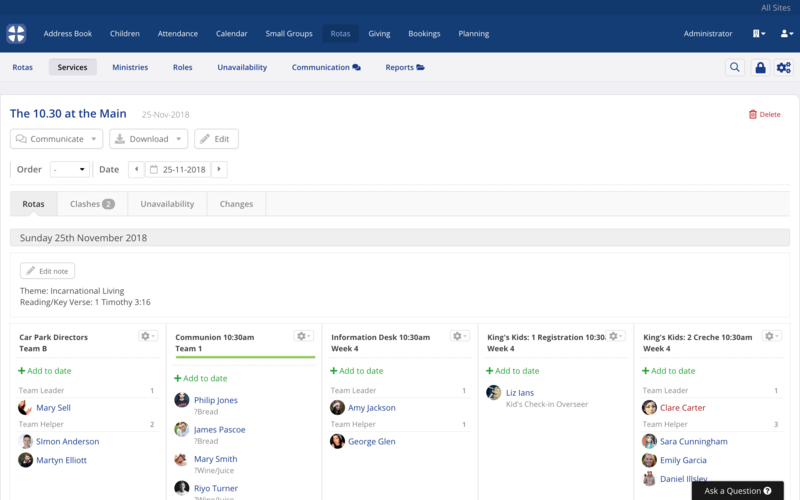 In this way you make sure your rota members know the bigger picture service information and the information that's specific to just their date on a rota. 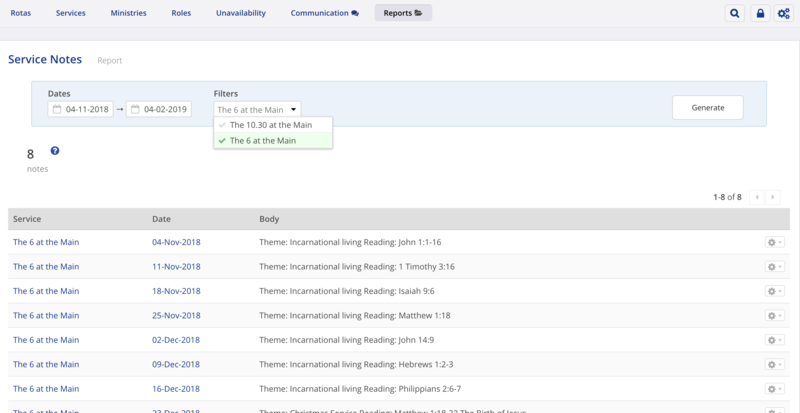 In the Rotas module, click through to the Services section and click to view a service from the list. On the service page navigate to the service Date you wish to add a service note for. Type your service Note. Multi-line service notes and emojis are supported. Notice the option to Edit option remains, so you can easily add to an existing service note, or edit and delete the note content entirely. Note also that service notes cannot be changed at a rota level - they can only be changed for a service. In the Rotas module reports section, the Service Notes report can be used to quickly filter a list of all service notes within a range of dates and for one or more services.